What do you need to know when buying hearing aids in Ireland? Buying Hearing Aids in Ireland? Buying hearing aids is a big step, there are many things that you need to consider and believe it or not, the price is just one factor. In this article we try to explain everything you need to know about getting hearing aids in Ireland, either publicly or privately. Hearing aids are available both publicly and privately in Ireland. Anyone with a medical card can access free hearing aids. Alternatively, if you buy them privately, the Irish government provides a grant to do so for eligible people. Over the next few paragraphs, I will explain what the process is for both. Buying hearing aids is a big decision on many levels. 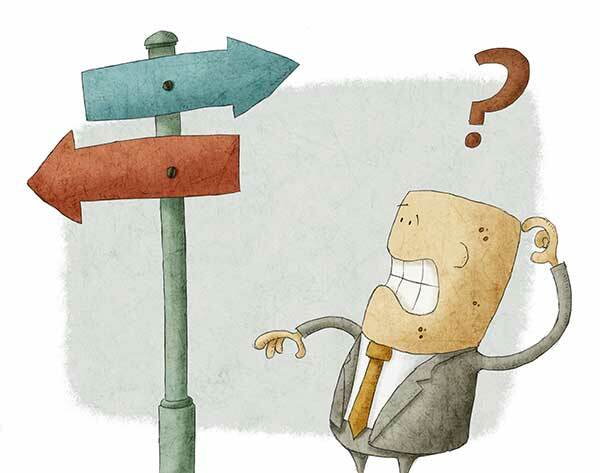 While many people focus on the financial, there is also the emotive decision. Making a hearing aid purchase decision can be intimidating at best, especially for someone new to the process. There is a lot of information available online, but often, it can be difficult to understand for the uninitiated. So we decided to try and help out with a clear explanation of what the process is and what you need to know to make you a better hearing aid buyer. Let's deal with Public hearing aids first. The Health Service Executive (HSE) provides free audiology services, including hearing tests, hearing aids (most commonly referred to as medical card hearing aids) and cochlear implants, to medical card holders and to children under 18. The HSE scheme is administered through the Community Audiology Services, you need to be referred to the HSE Community Audiology Service by your family doctor (GP) or an ear, nose and throat (ENT) specialist. The HSE provides their hearing aids to both adults and children that need them through a series of clinical outlets across the Republic of Ireland. Cochlear Implants are dealt with by a specialist unit in Beaumont Hospital in North Dublin. What Hearing Aid Types Are Available Publicly? The hearing aids available publicly are all Receiver In Canal hearing aids or Behind The Ear hearing aids. The HSE does not provide In The Ear hearing aids or the so-called Invisible Hearing Aids. In general, the hearing aids provided by the HSE are slightly older modern hearing aids from the big brands such as Phonak, Signia and Oticon among others. The devices would be in general mid-level hearing aid technology from perhaps five years ago. That basically means that they are not bad hearing aids. HSE hearing aids rightly had a horrible reputation about ten years ago, however, the devices being supplied now don't deserve that reputation. As I said, generally they are pretty good devices. They are seriously outclassed by what is available privately, but nevertheless, they will help you hear better in many daily situations if that is the only avenue available to you. At one time there were large waiting times to be seen by the Community Audiology Services. However, the HSE has taken some steps to reduce this. I am unsure what the waiting lists are like now, but if you inquire with your local centre you should be able to find out. Like any public service, they are under increasing pressure. They will test you and fit you with hearing aids as quickly as possible. It will be your job to then get on with it. This is not a statement on the dedication of the people involved, they just do not have the time to hold your hand or to convince you that the best thing to do is to wear them. The Irish Government recognised many years ago that the Public audiology services provided were inadequate. In response to that fact they introduced a grant for hearing aids as a part of the Treatment Benefit Scheme. That grant can be accessed by eligible people when purchasing private hearing aids in Ireland, or abroad in the EU. The Irish hearing aid grant is managed by the Department of Employment Affairs and Social Protection that provides dental, optical and aural services to insured workers and retired people who have the required number of PRSI contributions. It is a simple process to apply and the system has now been computerised so many of the private hearing aid centres in Ireland can tell you if you are eligible and apply for it for you. Even if you are not eligible, in some cases you may be eligible to make a claim on your spouse's contributions. The grant is half the price of a hearing aid up to a cap of €500 and half the price of two hearing aids up to a cap of €1,000. The hearing aid grant is a protection for you in a strange way. Because of the regulatory system in Ireland, basically, anyone can set up tomorrow and sell hearing aids privately whether they are qualified or not. However, only qualified and registered hearing care professionals can help you to access the grant. The situation is changing though, the Irish Society of Hearing Aid Audiologists has been lobbying Government for many years to regulate the profession. I believe that we will see that regulation happen in 2020 hopefully. You can claim tax relief on the cost of hearing aids in Ireland. If you are eligible for the hearing aid grant, you can claim tax relief on the balance of the money that you paid for your hearing aids. Buying a set of hearing aids is a big decision and I am sure that you have many questions. Firstly, you need to understand that getting on with hearing aids is an ongoing process. Buying the hearing devices is just the start of that process. As you enter that process for the first time, you will inevitably face information that is technical in nature and for the un-initiated almost seems like it is gibberish. Because this is your first time to enter into this particular process, you have no terms of reference, nothing to measure it against and no deep knowledge of what should be done. We want to change that, so let's talk about the process. The first question that needs to be answered is when should you seek intervention, when should you buy hearing aids? There is a plethora of evidence that the sooner you treat any hearing loss, the better it is for you in the long term. But hearing loss is sneaky, quite often it sneaks up on you and you are the last one to know you have a problem. 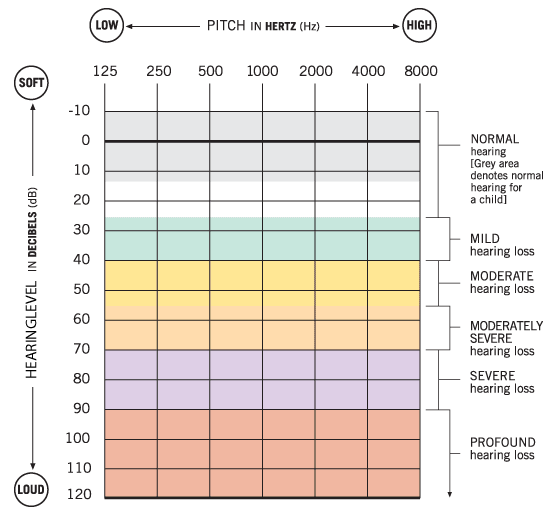 There is a hierarchy of signs that you need hearing aids, I have based them on the impact of hearing problems in your life. If you have reached number one, you are truly a stubborn person and you need to smack yourself on the side of the head for the sake of your long-suffering friends and loved ones. If you even get to number 6 on the above list, you need to go and see a professional. Hearing loss can be a bit difficult for the person who suffers with it to recognise. Our cultural understanding of hearing loss is formed by what we see on TV or the theatre stage and what we hear on the radio. Most people think hearing loss is about volume, speak up speak up! In fact, acquired (you got it anytime after birth) hearing loss normally isn't about volume. In most cases, run of the mill hearing loss is about the clarity of speech. You can hear the voice quite well, you can hear the people speaking but what they say isn't clear. Your perception is that they are mumbling or they have bad diction. Sorry about that, but they probably aren't, and they probably don't. You are just not hearing the high-frequency consonant sounds in speech that deliver sharpness. Those consonants frame words, they give intelligibility to words. We have a great article on words that are hard to understand with hearing loss here. If your inability to make out speech clearly is getting to the stage that it is having an impact on the enjoyment of your life, it is time to get hearing aids. If you are having problems hearing speech that stem from hearing loss, well the answer is simple, yes! Don't waste time, time and social contact are precious, too precious to waste. I have heard all the excuses and all of the lies that we tell ourselves, in fact, I wrote an article about it, Why You Don't Need Hearing Aids, The Lies You Tell Yourself. Have a read of it and see if you recognise a few of yours. So, we get asked this question a lot, where should I purchase hearing aids and what is the best place to get hearing aids. If you are happy to buy hearing aids, start researching private hearing aid retailers in your area. While online searches are a good place to start, make sure you pay attention to online reviews of Practices. Get a good idea of how well they do their jobs. I have said it already, getting on with hearing aids is a process, the secret to success with hearing aids is strong aftercare. Make sure that any place you are thinking of buying hearing aids from has a reputation for that. You can take a look at the Hearing Aid Know Network of trustworthy hearing aid centres here. We stand by them as good places to buy hearing aids. There is no real rule of thumb on this, different hearing aid outlets charge different prices for the same hearing aids quite often. The price charged normally depends on the level of service provided. In hearing aids, the cheapest option may not be the best option. Having said that, neither might be the most expensive option. Do your research, look at the price spread and research the reputation of the Practice, that is really what is key. I am certainly not the cheapest provider of hearing aids in Ireland. Nor am I the most expensive. However, I set my hearing aid prices on what I deliver and you can expect that to be delivered. You should expect the same from whomever you buy. You can see a general price range of hearing aids in Ireland here. We have an in-depth run-down on the hearing test and it's components here. It is worthwhile to give it a quick run through so you can judge how well you are being tested. The test that is offered to you is important, firstly, it shows how competent the provider is and how interested they are in actually helping you with your problems. The hearing test is the foundation of everything else so it needs to be done correctly and thoroughly. There are many Irish hearing aid professionals that offer trial periods, but be clear if it is a trial period or a money back guarantee. Trial periods are different to Money Back Periods, trial periods are exactly that, the professional will make an agreement with you to trial a set of hearing aids. During the trial, you will be expected to use them to get a clear understanding of what they can deliver for you. You will also be expected to record your perceptions in order that the professional can make any changes that are needed. A trial period gives you the opportunity to decide if a hearing aid is for you.